Gathering the leading minds of government, military, industry and academia. Attendees can see, touch and try out products and solutions from more than 200 exhibitor booths in the MILCOM exhibition. Gathering the leading minds of government, military, industry and academia, MILCOM offers an interactive forum to further explore, define and leverage commercial and defense technologies. Focusing on this year’s theme, Affordable Mission Success: Meeting the Challenge, MILCOM 2014 will feature five tracks of technical expertise and a line-up of top military, government, and industry speakers for the estimated 3,000 communicators who will travel from more than 25 countries who are expected to attend the conference. Senior military, government and industry leaders will dialogue with attendees on the latest in military and commercial communications. Among those confirmed to speak at MILCOM 2014 are General Dennis Via, USA, Commander, U.S. Army Materiel Command, and General James Cartwright, USMC (Ret. ), Harold Brown Chair in Defense Policy Studies, Center for Strategic & International Studies. These technical program will also offer panels and tutorials for attendees. Many of the sessions are eligible for continuing education units (CEUs). 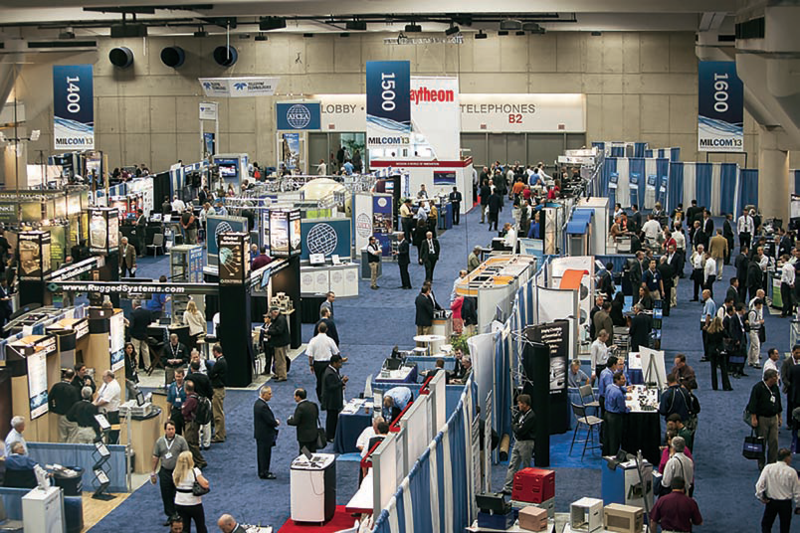 Complementing the technical program are more than 200 exhibitor booths to visit throughout the three-day conference—many of the world’s leading providers of information, communications and defense technology companies will be on hand to demonstrate and discuss their products. The technical program registration is free for military, government, and student participants; breakfasts and lunches are all available for a nominal fee. 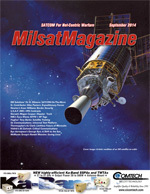 MILCOM, now in its 33rd year, is co-sponsored by the Armed Forces Communications and Electronics Association (AFCEA) International and the Institute of Electrical and Electronics Engineers (IEEE) Communications Society. Raytheon is serving as the conference’s 2014 corporate host. 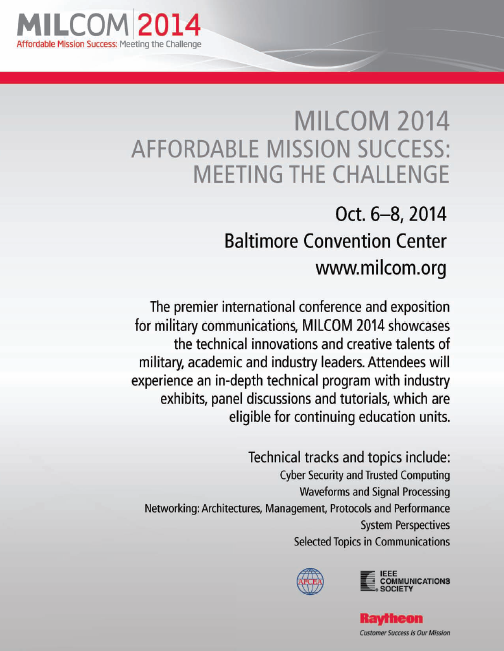 MILCOM 2014 is held at the Baltimore Convention Center, located at One West Pratt Street in Baltimore, Maryland, and runs from October 6th through the 8th, 2014. Visit http://milcom.org for a full conference agenda and information on registration.